The UK’s withdrawal from the EU, nicknamed “Brexit,” has been a roller coaster ride for trademark owners. First, there was uncertainty as to whether owners of EU trademarks (EUTMs) or International Registrations (IRs) designating the EU would still have protection for their marks in the UK once the separation was complete. The UK then negotiated, as part of the Withdrawal Agreement, policies which assured trademark owners that it would convert the UK portion of any EUTM or IR to an equivalent UK registration. Problem solved! However, that accommodation was contingent on the UK’s Brexit Plan being approved by the House of Commons, and the Brexit plan was instead resoundingly rejected, leaving owners of EUTMs and IRs designating the EU hanging. The UK is supposed to exit the EU on March 29, 2019, and so time is running out to make decisions regarding UK trademark protection. However, the UK government recently issued regulations stating that it would continue to protect existing EUTMs and IRs designating the EU as of Brexit Day, and would later convert the same to UK trademark registrations. Because of these assurances, RIW is not currently recommending that our clients holding registrations in the EU via EUTMs or IRs immediately file anew in the UK. The situation is more complicated for pending and new applications. EUTMs or IRs designating the UK currently pending and not registered before Brexit Day will not be automatically converted to UK applications. Applicants will be given a nine month window of time post-Brexit to re-apply in the UK, maintaining their priority. Because of this, we do not recommend that clients file only EUTMs or EU designations. We recommend and are already filing UK applications along with the EU, or designating both jurisdictions in an IR. We will be notifying all clients with pending EU applications. If your company is considering doing business or filing defensively in the EU or UK, or you just have questions about this Alert, please contact Stacey Friends at sfriends@riw.com to discuss the best strategy with regard to the UK. Stacey C. Friends is a shareholder of the firm and heads up RIW’s Trademark practice. 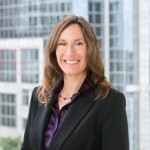 She is also a member of the firm’s Corporate & Business law Group. Stacey can be reached at sfriends@riw.com, (617) 570-3578, or on Twitter at @sfriends.